We gratefully acknowledge the generosity of the Fred Seddiqui family for their contributions to our Library in honor of Fred's father, Omar Seddiqui. Through their generous donations to the Omar Seddiqui Library Fund, our students and faculty have access to the Medline with Full Text database, EBSCO's Academic Source Premier Database, and EBSCO's Business Source Premier Database. Omar Seddiqui was born in 1920 in Herat, a city located in northwest Afghanistan. His father, professor Seddiqu, was a renowned national scholar and a judge on Herat’s Supreme Court. Professor Seddiqu wrote many books, one of which, entitled Women’s Freedom, became quite popular in Afghanistan. He owned several authentic art masterpieces and a book collection that exceeded several thousand. Omar was 16 years old when his father died, and he tried to salvage his father's collection from local and national raiders. 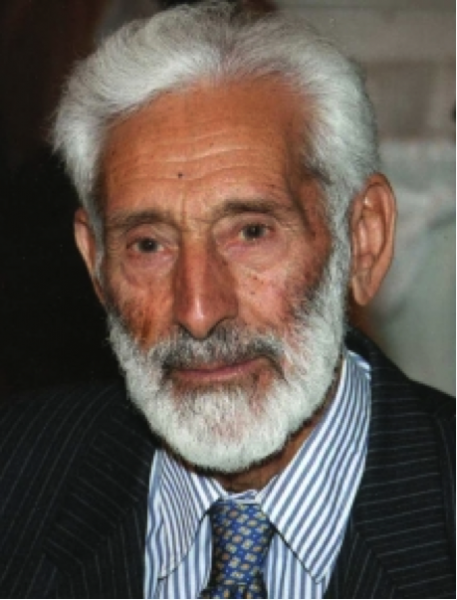 In 1955, Omar donated over five thousand books to the public library in the city of Herat, which subsequently named the library after his father. Omar received a Masters in Arts in Persian Languages and post-graduate training in journalism from Professor H.R. Jallifee, while taking extensive courses in English. He moved to Kabul, Afghanistan and spent the next 23 years of his career in many divisions within the Ministry of Information and Culture, which was created to further national education efforts in part by funding the public libraries and housing the national archives. For the last 10 years of his work in the Ministry, he was Director and President of the National Archives and Public Library and oversaw more than 300 employees. While director and President of the National Archives, Mr. Seddiqui was involved in purchasing or obtaining many precious documents, including a collection of poems, official and personal letters, decrees, declarations, and medals. Many of these authentic documents were over 1000 years old. He was privileged to have scholars and prestigious advisers in the library system working with him, as they assisted in establishing programs that furthered the vitality of the library and public education system, such as a Youth club for reading and library courses. In 1974, Mr. Seddiqui was invited to study modern archiving in Washington DC, where he had the opportunity to visit the Library of Congress and meet with several high-level executives. Over the course of his career, he spoke at seminars and conferences in Russia, India, and many European countries. In most cases, these international seminars were hosted by the United Nations. He took part in religious, political, and cultural round-tables featured on TV and radio. For a six-month period, Mr. Seddiqui was responsible for the cultural programming at The Radio of Javid in Afghanistan. He has given multiple speeches on religion and culture to the general public. In 1979, the archives, which he had so diligently maintained, were taken over by the Russian government, and many of his own personal hand written articles were confiscated. The travails he endured during this time were documented in his 400-page manuscript entitled Escape from my Country. In 1982, Mr. Seddiqui immigrated to the U.S. where he lived with his wife, Halima Ahrary Seddiqui, in San Jose, California. He subsequently established and was president of the Afghan Center in San Jose, an organization designed to introduce young Afghans to their history and culture. In 2002, Mr. Seddiqui was voted to be one of six members from the Bay Area to attend the Loya Jirga, which was represented by expatriates (aka, The Grand Assembly) in Washington DC. Loya Jirga is a meeting held to make important political decisions, such as selecting public officials, a transitional administration, or adopting a constitution. As a boy, he was constantly immersed in his father’s private library and for his entire life has been involved with libraries in one way or another. He was famous for saying, "You are never lonely when you have a book with you.” Once, a friend of his came to visit. Upon observing that Omar was at home alone, the man said, "You have been lonely today." Omar lifted his book up and said, "Not really, I have my friend with me.” He continued throughout his life to be sought after as a consultant to lend his considerable knowledge and expertise to various areas of the public sphere. He also continued to write articles for the monthly Magazine, Afghan Mirror, which is published in San Jose. In 2010, Omar's son, Fred Seddiqui established a Library Endowment Fund for Palo Alto University. The Library was renamed the Omar Seddiqui Research Library on January 21, 2010 in a series of ceremonies hosted by Library Director Christine Kidd. Mr. Seddiqui's generous gift will provide additional Library resources for current and future scholars at PAU.